And here is another drawing I did during Fan Expo. 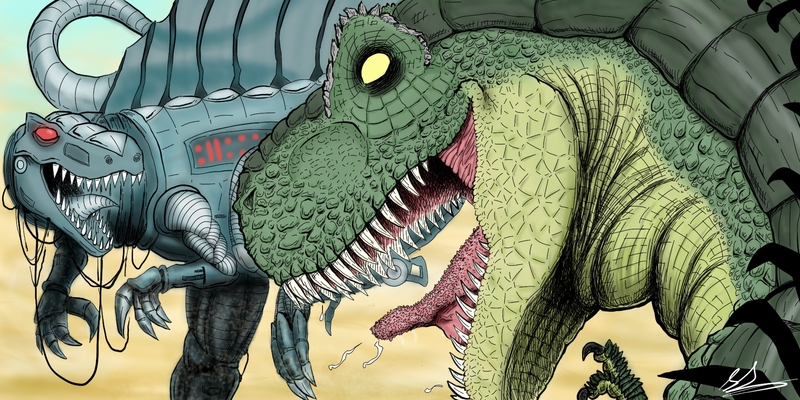 The ageless battle of good vs. evil… or dinosaur vs. robot dinosaur. 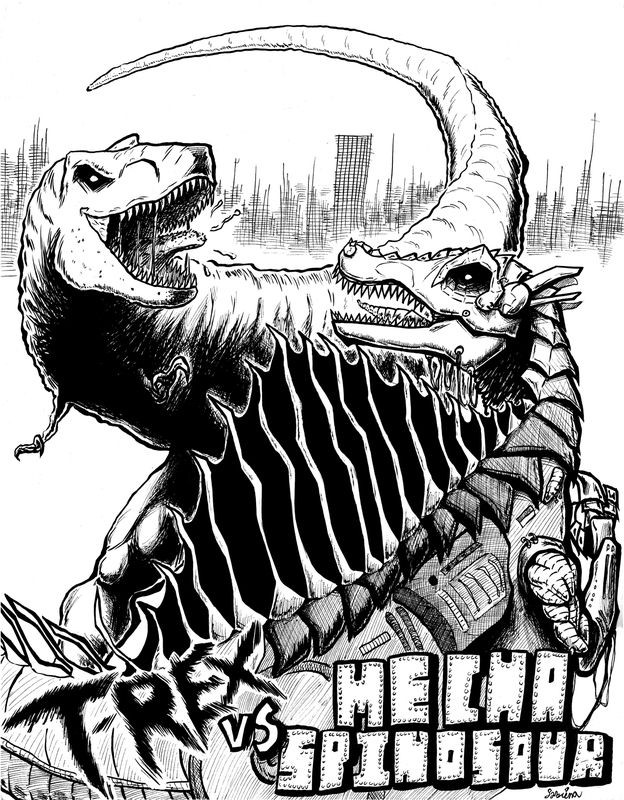 I’m not really sure what made me originally come up with this idea, but it all relates back to this colour illustration I made as an entry in the ” Stan Winston Dinosaur Drawing Competition” in 2013 while I was in the hospital. Even when I was getting a bone marrow transplant I was still drawing! This was also one of the very first drawings I ever did on my Surface Pro 1. I love that little guy!